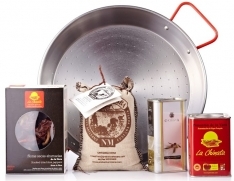 This paella set for four people from La Chinata includes the following products: 1 fur-person paella pan, 160g La Chinata tinned smoked paprika, 250ml La Chinata canned extra virgin olive oil, 25g La Chinata boxed smoked peppers, and 500g arroz-bomba rice. 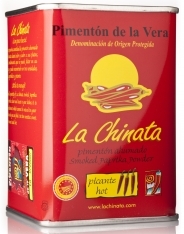 With this set, you will be able to make paellas so good, they will amaze you! 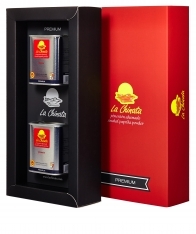 It is also ideal as a gift. 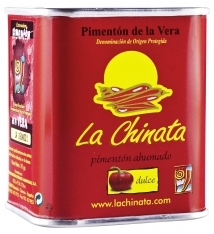 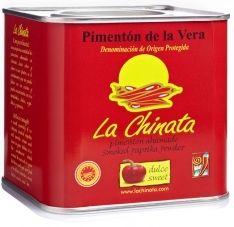 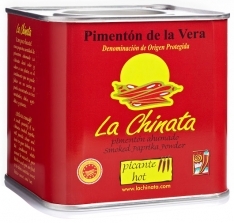 In Spanish, this product is called Lote Paella La Chinata para 4 personas.